Core Body of Knowledge Revised for 2018/19 - Prepare to become a quality leader (or just refresh your knowledge-base)by completing the Core Body of Knowledge online course; a primer for the Health Care Quality and Management (HCQM) Certification Exam. 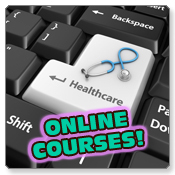 Learn the basics of health care quality, risk management, accreditation, patient safety, and more. In order to fulfill the education requirement for the certification examination, most examinees take advantage of the Core Body of Knowledge (CBK) Course. While the Board recommends this course as a valuable overview of Health Care Quality and Management (HCQM), it is not required and does not ensure successful completion of the examination. The American Board of Quality Assurance and Utilization Review Physicians, Inc. is accredited by the Accreditation Council for Continuing Medical Education to provide continuing medical education for physicians. ABQAURP designates this enduring material for a maximum of 24 AMA PRA Category 1 Credits™. Physicians should claim only the credit commensurate with the extent of their participation in the activity. The American Board of Quality Assurance and Utilization Review Physicians, Inc. is an approved provider of continuing education for nurses. This activity is designated for 24 contact hour(s) through the Florida Board of Nursing, Provider # 50-94. This program is approved for Category 2 credit by the American Osteopathic Association. Valid Dates: February 15, 2018 through March 15, 2020. In recognition of dedicated service to our country, ABQAURP offers a 10% discount on the Exam application fee, the Exam fee, and Core Body of Knowledge online course to all active military personnel. If applying for Professional Membership at the same time, the discount will also be applicable. Please call Barbara Thomas at (800) 998-6030, extension 116 for details and ordering.